← Will I come back a skinnier me? On the night of November 9, 1938, Nazi Storm Troopers and German citizens launched a massive, government-coordinated attack on Jews throughout Germany. 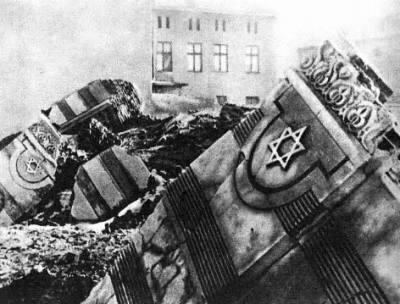 The mobs burned synagogues, destroyed businesses, ransacked Jewish homes, and brutalized the Jewish people. Kristallnacht or the Night of Broken Glass illustrated the radical nature of Nazi policies toward the Jews. From this time forth Jews had no rights in the Third Reich, and those who did not escape, became victims of the Nazi Holocaust. Bennett is doing an oral report on Kristallnacht for his 5th grade Tolerance report. He was giving his presentation to me yesterday and I kept interrupting him when he would say what the Jews could or couldn’t do. I said, “Could you imagine not being able to go to Shea 14 Movie Theater to watch The Avengers when it comes out and everyone else can just because you are Jewish?” I saw that it went from a series of facts to seeing it in his world by the look on his face. I would love to hear all the kids’ reports and the discussions that follow. Good for Dr. H and Cherokee Elementary! I am proud of what you are teaching Bennett and what he is starting to understand….It would be great o hear the reports….Wait until he has to do a Nationality report and all the nationalities are spoken for and his teacher says “Your father is Jewish isn’t he? Do it on that.” Beth tell Bennett I am proud of his am-fm radio as well….